Although making an emergency landing might not be everyone’s idea of a good time, this flight was about to be in for the trip of a lifetime thanks to one special passenger: Keanu Reeves. That’s right; the Hollywood star was about to make sure that everyone got home safe and sound. Passengers were supposed to be heading from San Francisco to Los Angeles when the entire plane was forced to make an emergency landing due to a mechanical issue. Now, everyone was stranded in Bakersfield – 100 miles away from their destination. It looked as though everyone was going to have to wait three hours for some emergency transport to arrive at the airport and get them home safely. That was until Keanu Reeves stepped up to the plate. Many celebrities would have got themselves out of there in a flash. Not Keanu. He wanted to make sure everyone could get home so started organizing enough vans for the passengers. Thankfully, the other passengers were on board with the idea and soon hopped into the vans. 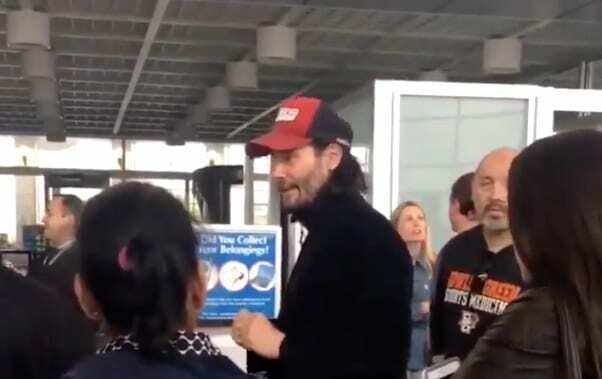 Keanu knew that it would be hours before the airport’s transport arrived and people would still need to claim their bags and deal with customer service. Now, everyone could get on the road and get home quicker than they ever believed. That’s not all. As well as organizing a bus trip with a whole load of stranded strangers, Keanu Reeves also had some onboard entertainment. The plan had landed in Bakersville, so what better way to lighten the mood than by reading facts about the town? To top it off, Keanu even had some music on his phone. It wasn’t long until the passengers were back where they were supposed to be. However, the star went one step further. 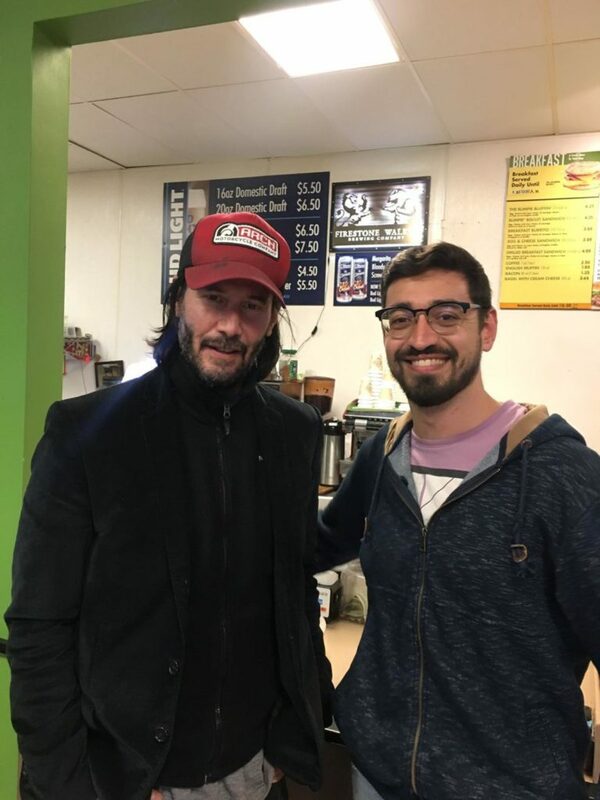 As well as making sure that everyone made it to Los Angeles, Keanu Reeves ensured they were all dropped off home and didn’t have to worry about getting back from the airport. It appeared that everyone got their own personal goodbye, too. An emergency landing could have been enough to turn this day upside down. However, these stranded passengers were greeted to the adventure of a lifetime thanks to Keanu Reeves and his kind nature.